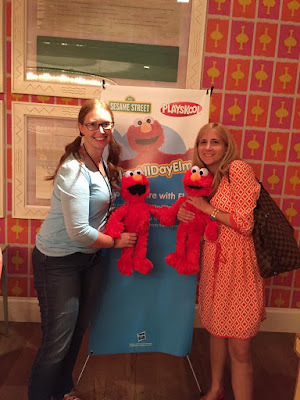 While working in NYC last week for New York Bridal Fashion Week, I was able to sneak in some time for a quick blogger event too - Playskool and Hasbro's #PlayAllDayElmo Preview! Sadly, I didn't have the boys with me, because they would have LOVED playing with all the Sesame Street inspired toys that filled the room and seeing the Muppet characters too. In Toddler mode, young children can enjoy basic cause-and-effect play, like tickling Elmo or squeezing his nose to see how Elmo might respond. In Preschool mode, preschoolers can take play to the next level with games and activities. 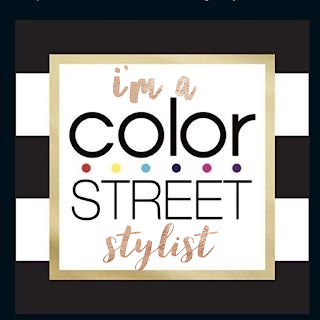 They can actually play with Elmo and do pat-a-cake (my boys are all about pat-a-cake right now), freeze dance, Elmo says (like Simon says), Red Light Green Light and more! 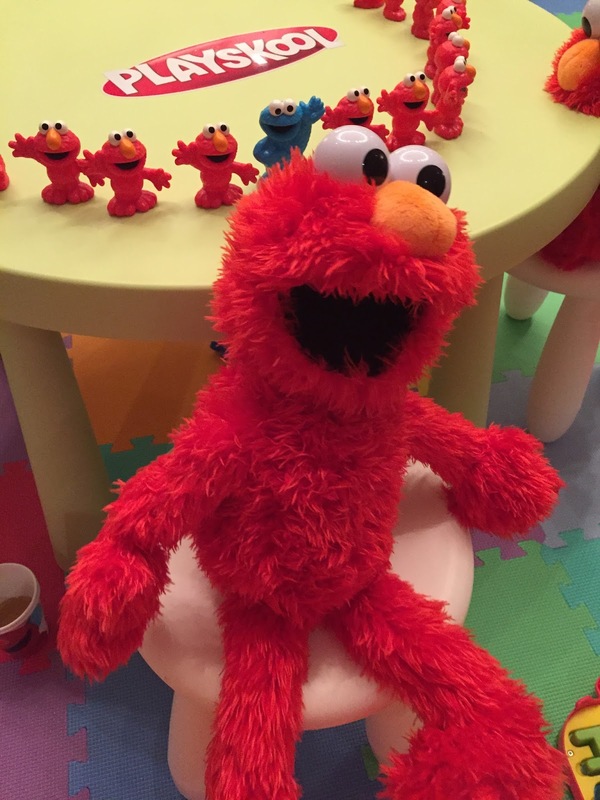 Being the most playful Elmo toys to date, the Play All Day Elmo toy is surely going to be a popular holiday present! It's also so soft and cuddly that I couldn't help but hug Elmo too! 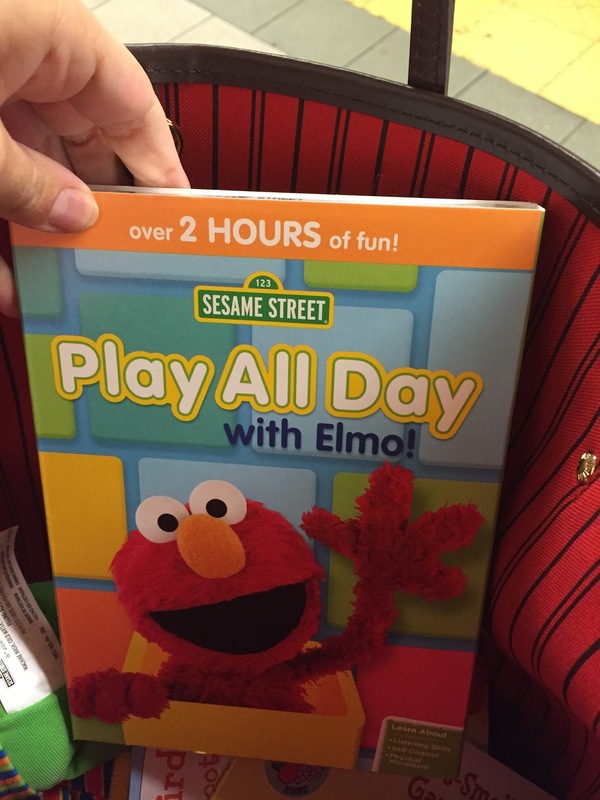 Besides the toy itself, there is also the new Play All Day with Elmo DVD ($9.98) from Sesame Street. We've already played it several times here at home and I love that it gets my boys up and dancing and counting too. 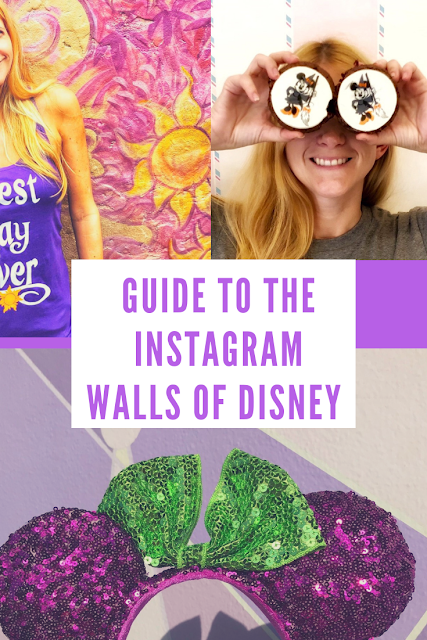 It's way more interactive than just the episodes of Sesame Street since it features more songs and encourages kids to join along by jumping and dancing. We've been putting it on when they come home from Pre-K each day. Oh, and Taye Diggs and Jack Black both guest star in it too. 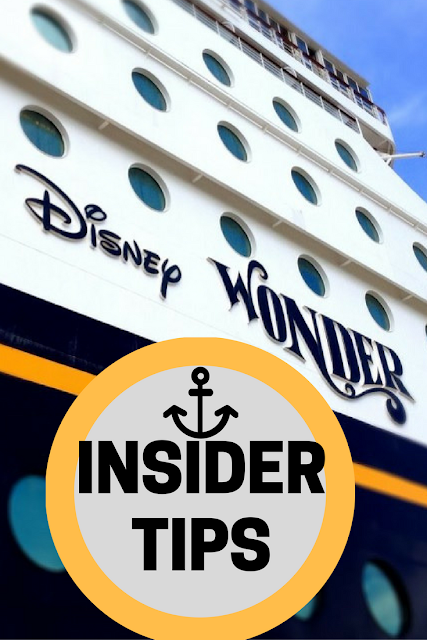 The DVD would make a great stocking stuffer for kids under 5! 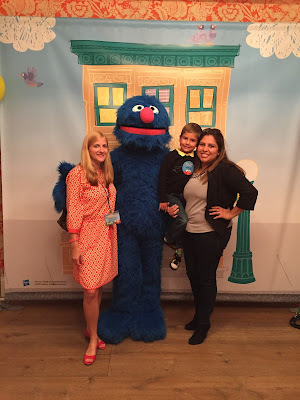 Oh, and loved this great Sesame Street birthday party decorating idea. 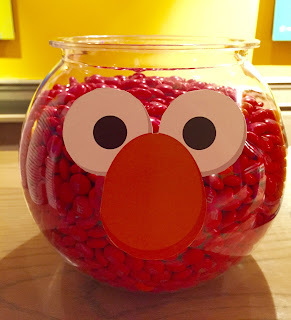 Simply fill a fish bowl with red M&Ms or Skittles, print out eyes and an orange nose and you have Elmo! So great seeing you in NYC and getting to pal around with Elmo with you.